Preparation to protect your property’s roof and guttering Melbourne needs to be carried out a long time before winter storms arrive. Trees need to be checked for rotting or over-heavy branches, that drop and cause no end of damage to a house’s roof and guttering Melbourne, a car, or almost anything which is outside and vulnerable. One Templestowe woman recently found out that although it was only autumn, turbulent storms with gale force winds can do massive damage to a home’s roof and guttering Melbourne. When the April 9th storms hit overnight, a freak gust of wind, pushed over a massive gumtree in her yard and landed the majority of its branches on top of her roof and guttering. Although, this home owner was aware she needed to remove the tree, not everyone thinks ahead enough to ensure the trees in the surrounding area are checked by a qualified Arborist (tree surgeon). Hopefully, the captain’s words are right, and more people are becoming aware of the need to protect a property’s roof by removing any branches and trees that are destined to be blown over by storms in the foreseeable future. Many shires and councils offer (for a fee) a tree inspection service. They will pay your property a visit to determine if a tree within a certain distance of your home’s roof and guttering Melbourne, is liable to fall or not. Unless it is within a close proximity to your home*, or if is considered ‘dangerous’, some shires and councils will not let you remove the tree. Many properties will need to have this type of inspection carried out before they have permission from their local shire or council to remove it. Sometimes, full tree removal is required, however, there are many trees which simply require some branches lopped off. It can be a nuisance to have a check carried out on a tree that’s close to your property, locate a professional Arborist, or seriously risk your own wellbeing by trimming branches off a suspect tree. However, it can be a lot more trouble, or even danger, to have a tree either fall or drop branches large enough to do widespread damage onto your home’s roof and guttering Melbourne. 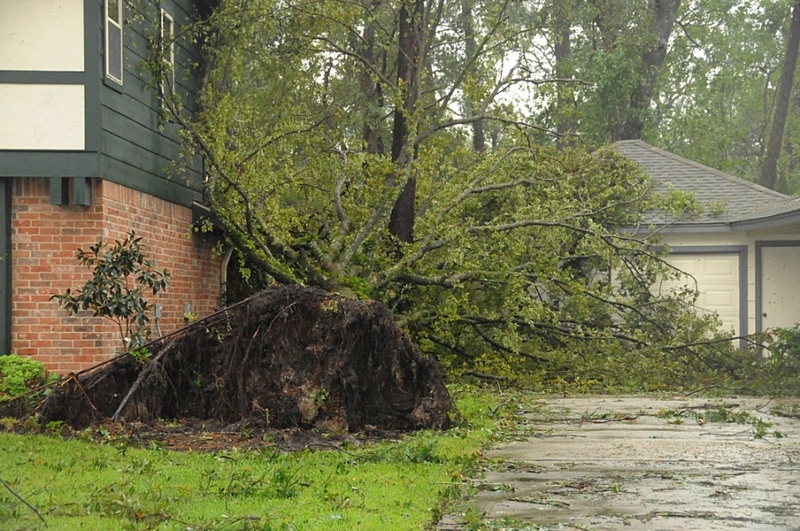 However, if you are unlucky enough for your home to be damaged by falling trees or branches, remember, there are reputable companies who have been around for over 25 years. You can rely on this warranty backed, fully insured companies to professionally carry out full roof and guttering Melbourne replacements. ** This blogs are general in nature and is ONLY meant to give readers an overview of the subject matter. Do NOT rely on this information for your specific needs. If you need any advice on full roof and guttering Melbourne replacements or to arrange for professionals to visit your premises to advise on your SPECIFIC requirements.